The blurb says that it all about evil eating up man's soul. There's no good and there's no evil. 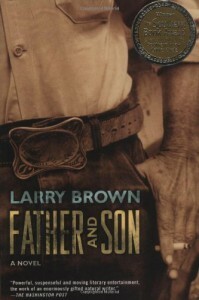 The book of Larry Brown is beautiful and terrifying story. It's rough and heartwrenching at the same time, full of violence and yet I couldn't stop reading.